Atende Software signed a significant contract with one of the largest Polish mobile network operators. The contract concerns the OTT (over the top) platform implementation called redCDN Panel brand plus redCDN ecosystem services. The agreement was concluded for 3 years with the possibility of further extension. Its value is estimated at several million PLN. This contract represents the first implementation of redCDN Portal for the mobile network operator, and a further implementation of redCDN for the mobile sector. Acquiring such a contract confirms the decision to enlarge the portfolio of our products by adding an OTT service. We are glad that by working with a leader among mobile network operators we will be able to offer end users excellent quality access to multimedia content, said Mariusz Stusinski, vice president of Atende Software. Atende Software has entered into a significant agreement with an entity in the public sector to provide redGuardian anty DDoS services. reGuardian platform is offered as a service, designed to protect the network infrastructure against DDoS attacks. Organizers of the Herbalife IRONMAN 70.3 Gdynia event launched a new platform for communicating with the competitors - TriathlonPoland.TV. This is the first in Poland video platform dedicated to the sports event. Technological solutions were provided by Atende Software. The platform brings together all the fans of triathlon. The website will distribute films produced by the organizer and partners of the event. These will be films about the methodology of training, diet, health, interesting events and inspiring people. On the platform The platform will also broadcast live show from Herbalifie IRONMAN 70.3 Gdynia and Warsaw 5150 Triathlon. Mass production of DCU with balancing meter functionality designed by Atende Software has already started. The development of the product lasted for the past year and ended with a great success. The device passed all the test and is ready for the mass deployment in Energa-Operator (DSO) electricity distribution. 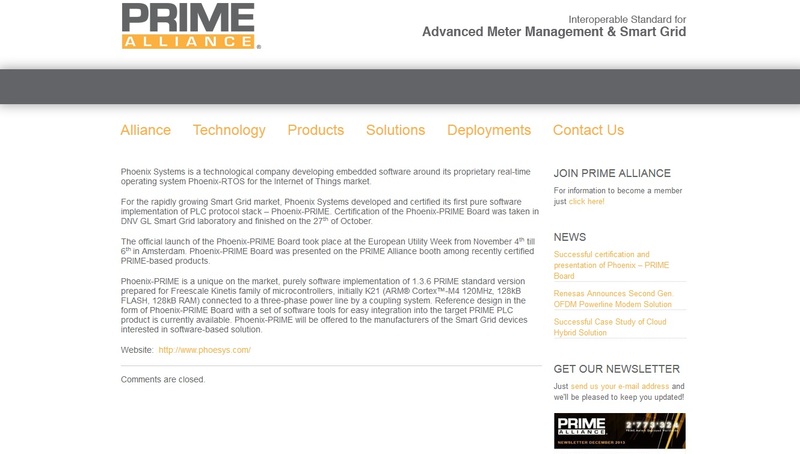 Data Concentrator communicates using PRIME protocol in CENELEC A band but other protocols e.g. G3-PLC can be supported after changing only small piece of the firmware. The main functionalities of Data Concentrator are advanced energy measurements and acquisition of data from smart meters in SmartGrid networks. 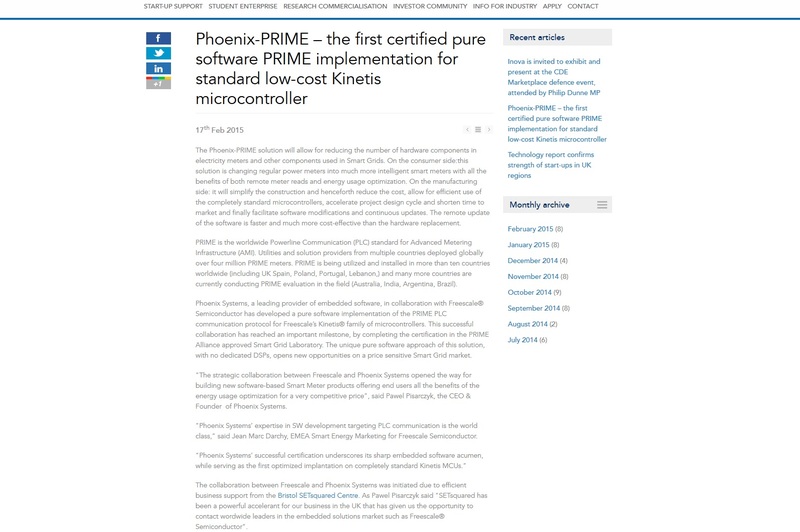 This smart product is based on our real-time operating system Phoenix-RTOS devoted for IoT and software defined solutions. Atende Software’s redCDN Content Delivery Network has broken the record for traffic. Yesterday redCDN achieved over 210 Gbit/s of peak load, which means that over 100 000 users were watching the content simultaneously. Our support for the Forum will result in a Gala concert by the outstanding violinist Mariusz Patyra, who together with the Symfonia Viva quintet will present his latest repertoire.